As the weather has started to get chillier every morning, I have enjoyed looking back at my weddings this year! 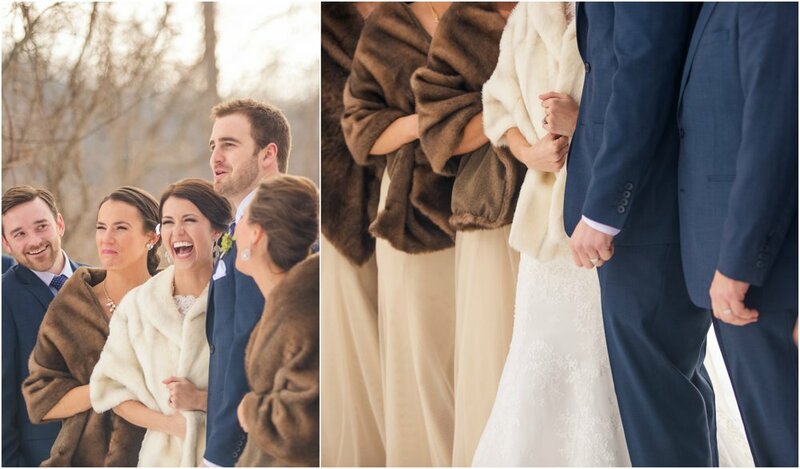 One of those weddings is a Justin Mark Photography wedding I shot earlier this year when there was still snow on the ground! Amber and Cory were two cuties who enjoyed their day to the fullest! One of my favorite parts of the way was when Amber added to her wedding dress right before the ceremony to surprise the groom a little further. She had gone in with a mermaid style and come out with a ballroom tulle skirt fit for a princess. Enjoy their photos!